We're back after our holiday break - and we're officially a year older as we celebrate our birthday with Sorg and the crew. We are enjoying Mad Mike's Becky Lynch shirt for the show tonight. Mayhem Mania is coming up - and the playing field just changed. Things could get REALLY interesting this year. Live production is tough - Sorg is speaking in his professional experience, of course. We're speculating on who else we may see pop up in All Elite given the talent that appeared at the conference and some of the relationships we're aware of. Who else watched Wrestle Kingdom 13? We're sharing some of our thoughts. The biggest thing from Wrestle Kingdom 13? Okada's short shorts. There are a ton of exclusive contracts in various companies - how will that affect some of the former talent team-ups we've seen? This week's Big Question: Part 1: Who was your favorite wrestler when you were 14? Part 2: Make a match you’d want to see with your 14-year-old wrestler and someone from today’s roster. We're headed back in time to 2006 - remembering what wrestling was like when the Mayhem Show was born. Mad Mike unearthed a fan mail from Juggalo Jamie - just for our birthday celebration. 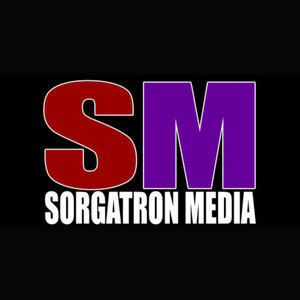 This is the part of the show where Sorg gets weepy and retrospective about all that he's seen as a result of the podcast.